Big Time Rush star who co-wrote the hit songs "Oh Yeah" and "Invisible," and starred in Big Time Movie. He portrayed Kenickie in the 2016 Fox broadcast of Grease Live! He was a member of the cheerleading squad at Sagemont Upper School and had his first acting role at age 15 in a 2004 episode of ER. He had his first feature film role as Louis in the 2011 drama Little Birds. He ended his long-term relationship with Chelsea Ricketts in 2010 then married actress Alexa Vega in 2014. He and Alexa have a son named Ocean and they are currently expecting their second child. His mother is Margarita Pena and his father is Carlos Pena, Sr.; he has three brothers named Javi, Antonio, and Andres. 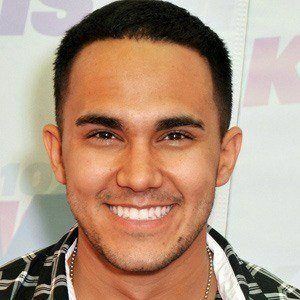 He co-starred in the Big Time Movie as Carlos Garcia with Kendall Schmidt in 2012.